With our diabetes-management-software-SiDiary you can easily import data from your Sanofi Aventis iBGStar iPhone App and use lots of advantages of statistical analysis; trend analysis and graphics to improve your therapy together with your doctor. This picture shows the data transfer from a Sanofi Aventis iBGStar App CSV export file. 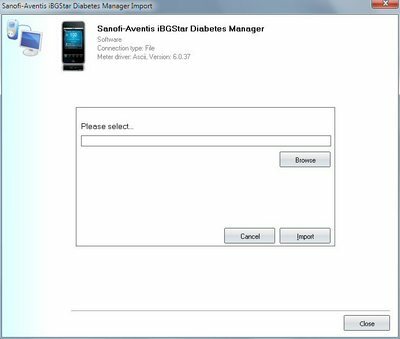 For the data import from Sanofi Aventis iBGStar App you just need to export the data from the app into a CSV file. Here you can go to the manucaturers website.